For a large number of modern vehicles, specialized hardware and skill set is required for a utomobile keys programmi ng . If you’ve lost your keys or need a spare, your first recourse would be to turn to your authorized car dealer. It’s a viable, and the most rational option you can think of. However, keys made at your dealership rarely come cheap. In addition, if you’ve lost access to your vehicle, you might as well forget about regaining access for a few more days, as dealerships often take a lot of time to get the job done. If you don’t want to wait an eternity or empty your wallets whilst procuring a replacement, luckily, there are a few auto locksmiths who can help you there. Can locksmiths really program car keys? Yes, we can! When we say we handle locks & keys, it isn’t limited to those in your home or office, but extends to vehicles as well.True, automobile keys programming is no easy job. However, when Seffner Locksmith Store has got a team of dedicated experts who’ve mastered even the most intricate aspects of programming, getting such keys made is no longer as daunting or as expensive as it used to be. For cars that make use of transponder keys, the mechanical aspect is quite easy to replicate. While your dealership would stock the choicest of key blanks, locksmiths own thousands and finding a match is no big a deal. 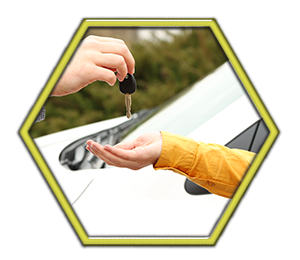 When it comes to automobile keys programming , locksmiths own cutting-edge machines and purchase chips directly from the car manufacturers, to ensure that the key is programmed according to your needs. Remote key fobs can also be programmed in a similar fashion. There’s a host of benefits associated with availing our solutions. One, you don’t have to pay out a hefty sum to get a replacement made. Two, there’s no need to wait for days, because our experts are known for their super fast automobile keys programming service (usually it takes us between 30 minutes to an hour). Three, you don’t have to tow your vehicle to our workshop because our workshop comes to you, no matter where you are in Seffner, FL area. We own mobile vans that facilitate the process. So, what are you waiting for? To get car keys made, dial 813-703-6297 today!